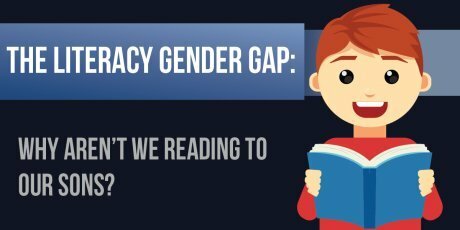 The Literacy Gender Gap: Why Aren't We Reading To Our Sons? Boys, across the globe, regardless of their ethnicity or socio-economic status, are consistently underperforming in reading tests compared to their female counterparts. Here at OnBuy, we have compiled data from OFSTED, the Organisation for Economic Co-operation and Development (OECD) as well as putting together their own independent research, to assess the gender gap in literacy. As more and more purchases are made online, analysing google search trends is a good indicator of the popularity of books for each gender. Upon inspection, research has revealed we are a lot less likely to search for books for boys than girls, especially for teenagers. The term 'books for teen girls' is searched on average 6,900 times a month, compared to a mere 2,900 times a month for the query 'books for teen boys'. This represents a 58% increase in searches. Are boys reading enough before they hit their teenage years? We decided to go to parents directly, and ask them about the time they spend reading with their children. The results of a survey asking 904 parents of children ages 4-12 about their bedtime reading routines revealed that 29% of parents with both sons and daughters read more often to their daughters. Many parents also admit that their sons were more interested in playing on the iPad before bedtime instead. 33% of parents with only sons read to them more than 4 times a week. 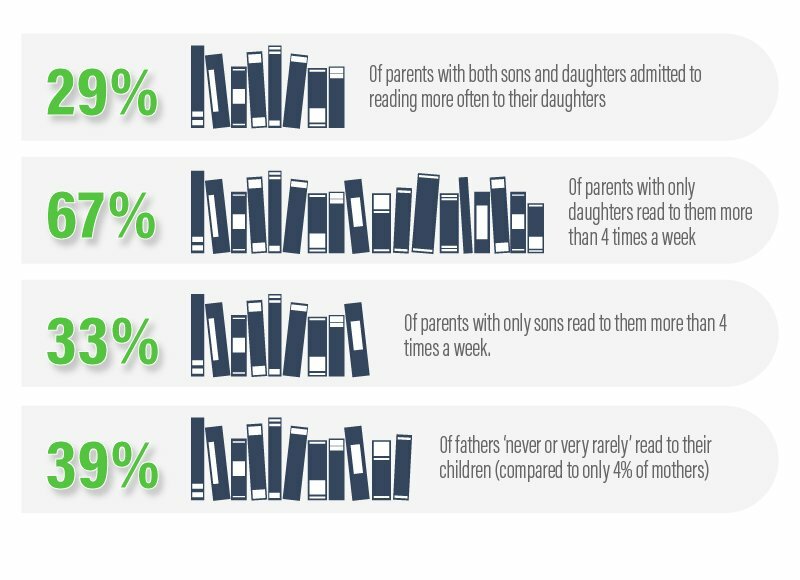 These results show that even when we are reading to our sons, we are reading to them less regularly. This is a claim backed up by the Department for Education and Skills, who wrote in a report on gender and education that "parents are more likely to read and teach songs and nursery rhymes with their daughters than their sons". This is despite a Scholastic report asserting that 83% of kids love being read aloud to. In a report entitled 'Reading for Change, Programme for International Student Assessment', OECD declared that "reading for pleasure is more important for children's educational success than their family's socio-economic status." Therefore, could a lack of bedtime stories be linked to male underperformance in Humanities, the Arts and Languages? "Boys seem uninterested in books, which in turn does not encourage parents to read to their sons. With this lack of exposure to reading, boys become more likely to pick up an iPad than a book. A son's disinterest in children's books often stems from a lack of a male role model during their bedtime reading routine. As our survey suggests, 39% of fathers admit to 'never' or 'very rarely' reading to their children. Reading, especially at a young age, helps language development by exposing them to new words and spellings. Language development, a larger vocabulary and consequently better writing skills are all major factors in many of the arts and humanities subjects, where, studies show, boys are underperforming". 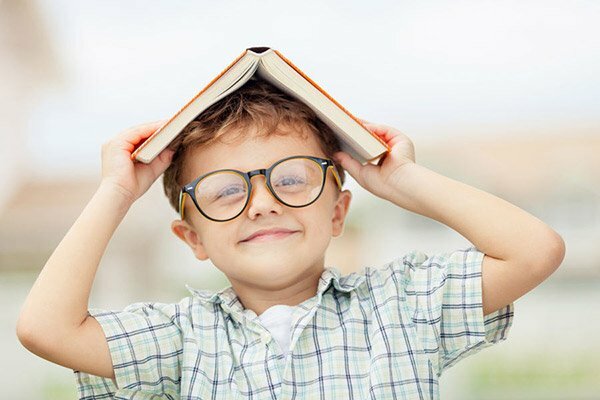 Get fathers more involved in reading: Schools in the UK have found that fathers and older brothers who reserve time for reading with struggling 8- and 9-year-old boy readers helped them enjoy reading a lot more. Introduce more non-fiction books to bedtime. Research suggests that boys can have a hard time relating to fictional stories (unlike their female counterparts), and that they often enjoy reading non-fiction a lot more. Talk about the characters, plot and vocabulary as you read. Boys are often discouraged when it comes to reading if they struggle to understand the text; help them get the most out of the book.